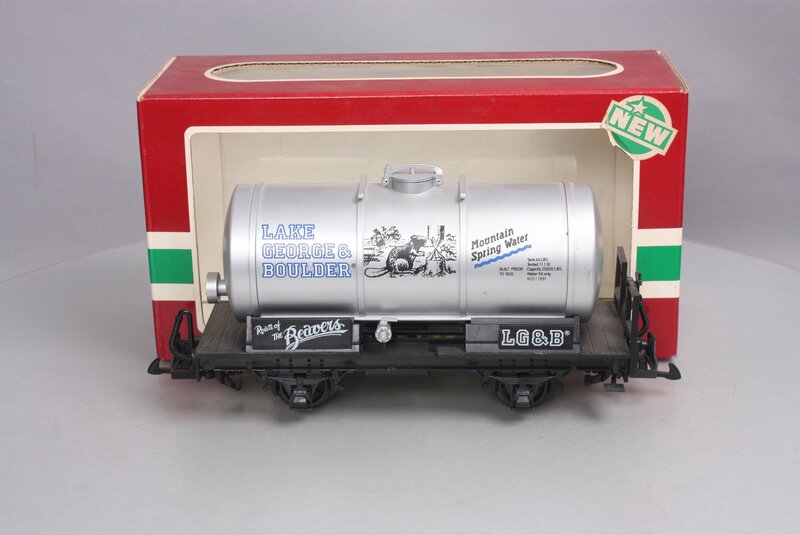 Here is an LGB G Gauge 4140 Lake George and Boulder Tank Car. 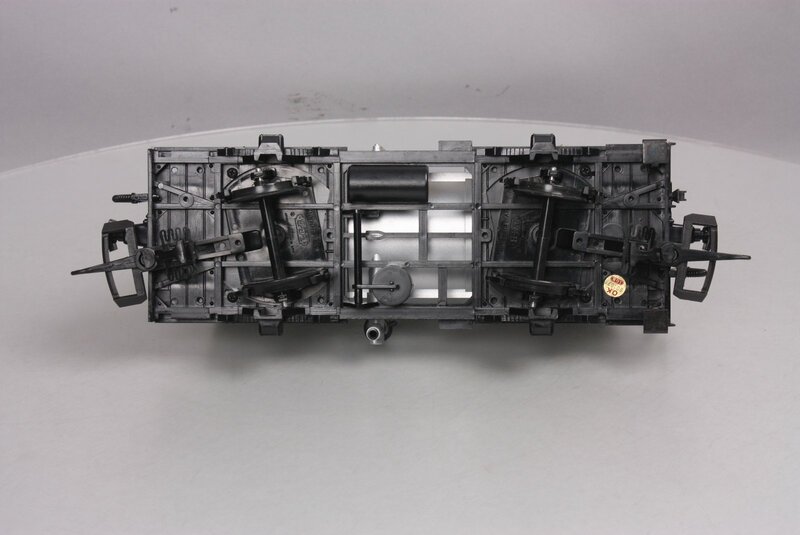 This car features plastic trucks, LGB-type couplers, plastic wheels and axles. Overall condition is Like New. The Trainz SKU for this item is 4239324.